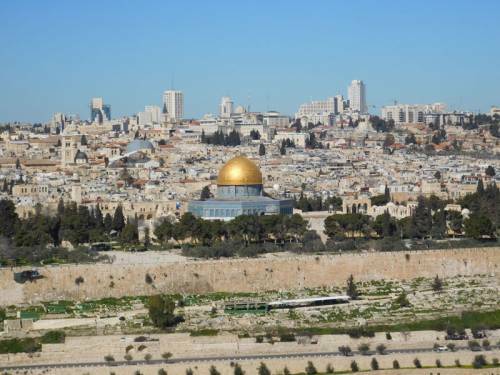 BETHLEHEM — In response to a commissioner’s resolution adopted at the 223rd General Assembly in St. Louis (2018), a group of 10 Presbyterian Church (USA) representatives visited Israel-Palestine last week to express concerns for the human rights of the inhabitants of Gaza. The delegation was led by GA 223 co-moderator, Ruling Elder Vilmarie Cintrón-Olivieri, and director of World Mission the Rev. José Luis Casal. Mission co-worker Douglas Dicks, who has lived in Israel-Palestine off and on for over 20 years, knows the importance of these visits. 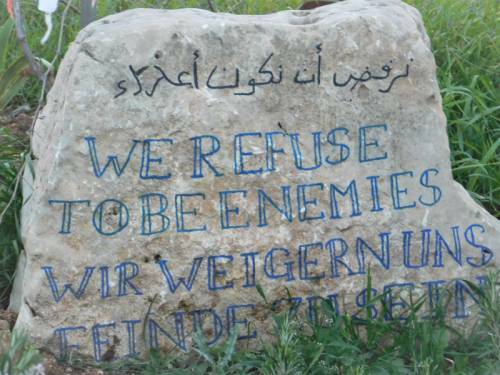 “The visits to our Palestinian Arab Christian friends and church partners are — in and of themselves — acts of solidarity and demonstrate that Presbyterians are not only sympathetic to, but also are keenly aware of, the circumstances in which they live, breathe, witness to and serve the Living Christ. These visits provide a glimmer of hope in a situation that often appears hopeless, and make our church partners feel less forgotten and less neglected by Christians in the West.,” he said. Expresses its profound grief and sorrow for the families of all Palestinians killed in the Great March of Return protests at the Gaza border. According to the U.N. Office for the Coordination of Humanitarian Affairs (OCHA), from March 30–June 7, 2018, that number has reached 131 Palestinians, which includes 14 children. Prays for the well-being and recovery of all who have been wounded and injured in violent confrontation. Deplores the killing of more than 20 clearly-marked Palestinian medics serving the wounded, which includes Razan al-Najjar, a 21-year-old woman, and supports specific inquiry into the violation of international humanitarian law regarding this practice by the Israeli military. As well, the 223rd General Assembly (2018) does not condone inciteful discourse that inserts acts of violence into a massive peaceful demonstration. Renews the Presbyterian Church (U.S.A.)’s call for an end to the blockade of Gaza by Israel, which is assisted by Egypt in keeping its borders closed to those seeking safety and refuge. On May 14, 1948, when Israel was officially declared a state, an estimated 750,000 Palestinians were forced to flee or were expelled from their homes during a period they refer to as “al-Nakba” or “the catastrophe.” Thousands of Palestinian sought refuge in the Gaza Strip, where they were essentially trapped between Egypt and Israel. Neither country would grant them passage. Almost immediately, war broke out between Israel and five Arab countries — Jordan, Iraq, Syria, Egypt and Lebanon — known as the 1948 Arab-Israeli War. When the conflict ended, Egypt controlled the Gaza Strip and did so until 1967, when during the Six-Day War it became occupied by Israel. Until 2005, the Israeli military controlled Gaza and Jews were permitted to settle there. In 2005, then–Israeli Prime Minister Ariel Sharon pulled out all Israeli troops and evacuated the Israeli settlers. When Hamas won elections and gained political power in 2007, Israel instituted a blockade and cut off basic supplies to Palestinian residents including electricity, food, water and medicine. Infrastructure has been destroyed. Children often go hungry. Many are unemployed because businesses cannot get the goods to sell; few have the money to buy anyway. Currently 1.9 million people live in Gaza. More than 54 percent are under 18 and it is estimated 1.6 million need humanitarian assistance. 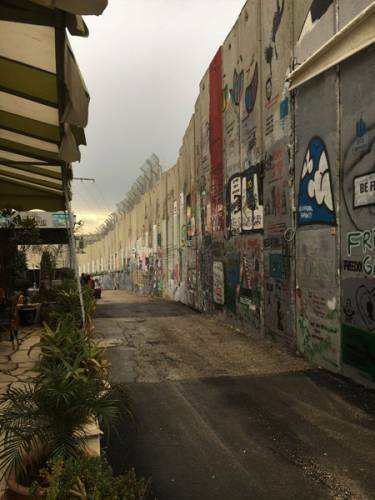 Weeks before the delegation traveled to the Holy Land, World Mission applied for Gaza access to both Israel and Palestine for the required permits. The Palestinian permits were granted prior to the trip, but as the delegation left, approvals had still not been received from the Israeli government authorities. About mid-week, the permits were granted, and the group was ready to leave for Gaza on a Thursday morning. That never happened. Just hours before, Israeli warplanes launched airstrikes on what they identified as Hamas sites in the central Gaza Strip. Church partners told the delegation that tensions were running high and they felt it was not a secure time for the group to visit. Friday demonstrations and protests along the perimeter fence in Gaza have been ongoing for nearly a year. The demonstrations have been mostly peaceful and the Palestinians who have been killed were mostly unarmed demonstrators. According to the United Nations Office for the Coordination of Humanitarian Affairs in the Occupied Palestinian Territories, since the beginning of protests during the “Great March of Return” on March 30, 2018, 254 Palestinians have been killed and 23,603 injured. 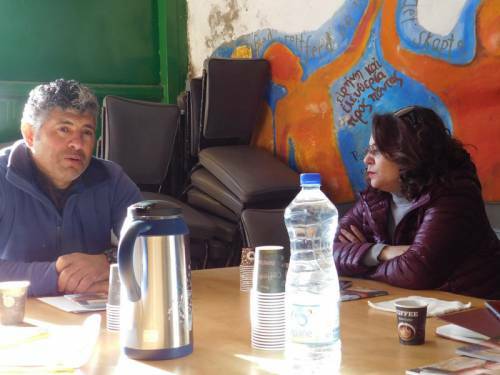 Daoud Nassar speaks at his family farm , The Tent of Nations, with Ruling Elder Vilmarie Cintrón-Olivieri, co-moderator of the 223rd General Assembly. The group’s itinerary began on Sunday with worship at the Evangelical Lutheran Christmas Church in Bethlehem. Casal was in the pulpit to talk about the purpose of the group’s visit and Presbyterian Mission Agency’s journey to become a Matthew 25 church. His words were translated into Arabic for the congregation by Rev. Munther Isaac. The co-moderator and the group also brought greetings from the PC(USA) to ecumenical partners including His Grace Bishop Sani Ibrahim Azar, Bishop of the Evangelical Lutheran Church in Jordan and the Holy Land and His Grace Archbishop Suheil Dawani, Bishop of the Episcopal Diocese of Jerusalem and the Middle East. The group wrapped up its itinerary with worship with Rev. John McCulloch at the St. Andrew’s Scots Memorial Church in Jerusalem. Cintron-Olivieri delivered the sermon.